Starting tomorrow, Green Auto Market will be emailed out to readers daily. News coverage will be shared along with a central topic for the day significant in clean transportation. The newsletter had originally been published monthly, and went weekly in the summer of 2013 once the website was launched. As media colleagues have suggested, going daily is necessary. Daily content is needed to stay current and informed on the issues – and to stay relevant with readers. The challenge for media sources, and for those receiving the information, is to not be consumed with information overload these days. We’re receiving a high volume of emails, newsletters, pings on our smartphones, and aggregated newsfeeds from Google, Amazon, Apple, and specialized sources. The good news is that we have a lot more options to customize our interests and news sources. That helps readers stay informed and use their time well. Coverage will also explore critical developments in key global markets outside North America, including Europe, China, Japan, Korea, and India. Automakers, fuel and energy producers, technology companies, and policymakers, continue to see their approach shaped by economic globalization, trade agreements, corporate merges and joint ventures, and technology advancements shared across borders. Thanks to those of you who leave comments, even if the article’s factual accuracy is questioned. Good to know, and your feedback is appreciated. To leave a comment, just click on the title and scroll down below the article for the Leave a Reply – Comment box. The subscriber edition, Green Auto Market – Extended Edition, will continue to be published. It will go out at two-times-per week intervals. It provides readers with news analysis and market data trends covering hybrid and electric vehicle sales, fuel prices, regulatory issues, global market developments, and other topics. Those interested can subscribe here. You can also follow Twitter and Facebook pages. Thanks for being part of the readership. 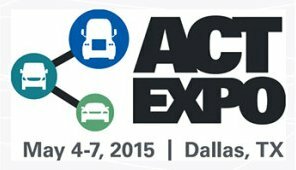 Electrified trucks and buses, the significance of renewable natural gas, and growing interest among users in mobility services and automated transport, were leading topics at ACT Expo 2017 in Long Beach, Calif. The exhibit hall was filled with the latest clean vehicles, drivetrain components, and fueling infrastructure dispensers and stations available to the fleet market. Electrified vehicles: While several prominent electric work truck makers went out of business not too long ago, fleets now have a diverse selection of offerings to choose from companies that look ready to stay on the market and service the vehicles long-term. Vehicles include buses, shuttles, port drayage trucks, work pickup trucks, and delivery trucks. Workhorse Group unveiled its W-15 electric concept pickup. It can go 80 miles per charge through its 60 kWh battery pack. Buyers can also pay for an extended range plug-in hybrid version that can go a total of 310 miles on electricity and gasoline. As reported in Green Auto Market, the company is seeing a lot of interest in the market, with letters of intent received for the purchase of 3,000 units from a few utility and government fleets. It has a starting price of $52,000 and its platform was built on the E-Gen electric technology used in Workhorse medium-duty delivery trucks. Along with emissions reduction benefits, the company said it the W-15 has 460 horsepower with the ability to carry 2,200 pounds in payload and tow 5,000 pounds. Renewable natural gas: One fleet manager told me how RNG has been taking off in California for municipal fleets, with major gas suppliers now offering the clean fuel and state incentives backing it. His natural gas used in the fleet has been made up of about half traditional natural gas and half RNG. The Coalition for Renewable Natural Gas and the California Natural Gas Vehicle Coalition released a study forecasting the economic impact RNG is bringing to the state. Deploying trucks fueled by renewable natural gas could create up to 130,000 new jobs and add $14 billion to California’s economy. The ‘RNG Jobs Report’ says that a switch to renewable natural gas trucks could quickly help California achieve its air quality, greenhouse gas emissions, and climate change-related goals. Award winners: Fleet Owner’s Green Fleet of the Year: Walmart. The company, with its huge fleet of 6,400 tractors and 61,000 trailers, has seen several sustainability innovations adopted since Hurricane Katrina in 2005. Like several transport companies and vehicle makers, the strategy has been corporate-wide, with fleet vehicles on part of it. Recently, 75% of Walmart’s global waste is diverted from landfills and 25% of its operations are powered by renewable energy sources. Since setting its sustainability targets in 2005, the company has removed about 35 million metric tons of carbon emissions from its supply chain despite its continuing growth over that time period. Leading Carrier Fleet: Saddle Creek Logistics Services. The carrier has 550 tractors with 250 of them powered by CNG moving through the southeast U.S.
Utility Fleet: ForticBC. The British Columbia electric power and gas distribution utility now operates about 600 CNG and LNG heavy duty vehicles. The goal is bringing the fleet up to 50% alternative fuels by the end of 2018. The utility operates 15 CNG and seven LNG fueling stations. Transit & Mobility Fleet: North Kansas City School District. So far, 159 Type C school buses have been converted to run on CNG. Private Fleet: Frito-Lay, Inc. 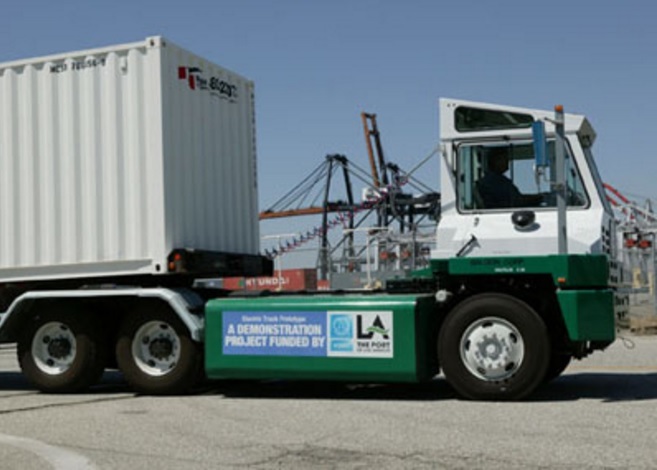 The company currently has 580 CNG freight trucks, 17 CNG public fueling stations, and 200 electric vehicles; that makes for the largest commercial EV fleet in the U.S.
Public Fleet: City of Los Angeles. The city reported that 2,041 of its vehicles have been displaced from traditional internal combustion engine vehicles. The fleet is now made up of hybrid vehicles, CNG street sweepers, LNG and CNG refuse trucks, 143 LNG and CNG heavy-duty trucks, and 100% of LA DOT’s buses are green. “In It For the Long Haul” award: Waste Management, Inc. The company reported having 5,791 of its collection vehicles running on natural gas. It has 95 CNG, LNG, and liquefied compressed natural gas (LCNG) fueling stations in place. About 40% of its natural gas vehicles are fueling by renewable natural gas coming from landfill biogas. GM’s take on mobility: General Motors is in a strong position to experience firsthand transportation trends of the next decade. In an interview, Alex Keros, manager and senior project engineer for Maven and GM, talked about what’s working with the Maven carsharing unit since GM launched it last year. About 60% to 70% of renters are members of the millennial generation who have less interest in owning a vehicle but do need to become acclimated to mobility options. GM is also in a good position to analyze data on the ridesharing side of the business through its investment in Lyft, which is also part of testing out self-driving Chevy Bolts. Lyft drivers and Maven renters are trying out driving the Bolt and the Chevy Volt. It’s turning into an excellent learning experience for users; the Lyft drivers are playing a role in sharing their experience with Lyft riders on what it’s like to drive an electric car. They’re not hearing complaints about the limited range issue, which has to do with the Bolt’s 238 miles and the Volt’s extended range. Even more important, Keros said, is drivers learning how to live with and respect the technology. They do adapt quickly to electrified mobility, he said. The company is working with EVgo on getting drivers set up to charge in their network. 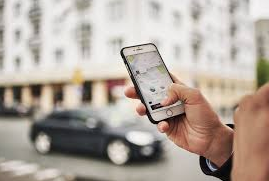 That’s also part of the learning experience with drivers finding out how long it takes; and how you can get away with taking a shorter charge to make a short trip, and then doing a full charge at night. Doing less than a 100% full charge is typical, he said. In a separate interview, Mustafa Mohatarem, chief economist for GM, said that he doesn’t expect to see surging growth in ridesharing firms Lyft and Uber, and carsharing through Maven and Zipcar, along with the introduction of autonomous vehicles, to mean we’ll see a lot less vehicles on roads in the next 10 years. With drivers of these shared rides putting 25,000 to 50,000 miles per year on their cars, it will accelerate the replacement cycle, he said. Car sales aren’t likely to drop significantly. Mohatarem doesn’t see EV sales skyrocketing in the near future. While diesel cars are going away in Europe since the Volkswagen scandal started, traditional engine vehicles won’t be going away anytime soon. With development of U.S. shale reserves, the supply will be plentiful and domestic for the foreseeable future, he said. Regulatory pressure in markets like Europe is a factor that will bring more EVs to market, he said. The chief economist doesn’t see EVs becoming viable until they make up at least 10% of new vehicle sales. GM does see demand for natural gas and propane autogas vehicles growing among fleets. It’s also driven by overall fuel prices. Both of the alternative fuels are seeing a wider product range, which is helping with vehicle sales. The automaker is seeing demand for CNG-powered versions of the Chevy Equinox and Cruze and its pickup truck lineup. Good range and strong fuel economy are helping, Mohatarem said. Cap and trade funds: The California Air Resources Board announced at ACT Expo that California Climate Investments in zero-emission vehicles have reached $599 million since 2013. That’s supported putting hundreds of thousands of clean cars and zero-emission trucks and buses on California roads. That’s come from 115,000 light-duty zero emission vehicles including battery electric, plug-in hybrids, and fuel cell vehicles. On the commercial truck side, 46 Class 7 and 8 zero-emission trucks; 950 electrified delivery, utility, and refuse trucks; 407 zero emission transit buses, shuttles, and light-rail cars; 29 electric school buses; and 46 zero emission off-road vehicles, have received cap-and-trade funding from the state. Capital comes from the quarterly cap-and-trade auctions that came from the state’s AB 32 global warming law enacted in 2006. Some of the investment has supported demonstration projects of various specialty vehicles serving the ports and other applications. BYD showcased its class 8 battery electric refuse trucks, which the company said is the first heavy-duty refuse truck built by an original equipment manufacturer that’s 100 percent battery electric. 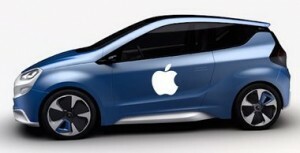 The Chinese automaker said that its North American division now offer these vehicles for purchase and delivery. BYD also announced that its first 60-foot articulated battery electric transit bus has been delivered to Antelope Valley Transit Authority. It’s part of the Los Angeles county-based transit agency’s goal to convert its bus fleet to electrification by 2018, and is the first of 13 60-foot electric buses that will end up with the transit agency. Cummins Westport will make a new launch of near zero emissions vehicles in 2018, according to president Rob Nietzke. All three of its engines – the 6.7, 8.9, and 11.9 liter versions – will be renamed next year and will feature refinements from the Near Zero design launched in 2015. The 8.9-liter L9N and the ISX12N will be certified by CARB at just 0.02 grams of NOx per brake-horsepower hour, which is 90% cleaner than the current standard. The 6.7-liter B6.7N is to be certified at 50% cleaner than the current standard. UPS will deploy a prototype fuel cell electric vehicle in its Rolling Laboratory fleet. UPS is working with the U.S. Department of Energy and other partners to design a first-of-its-kind, zero tailpipe emissions, Class 6 medium-duty delivery truck that meets the same route and range requirements of UPS’s existing conventional fuel vehicles. Unlike fuel cell auxiliary power units, this vehicle will use the onboard fuel cell to generate electricity to propel the vehicle. This project is an important step toward demonstrating the commercial viability of zero tailpipe emissions trucks to fleet operators and the developing FCEV supply chain, the company said. Ryder System will be the strategic service partner for Workhorse Group. Ryder will be the exclusive maintenance provider for Workhorse’s entire light- and medium-duty range-extended electric vehicle fleet in North America and will provide a combination of warranty and maintenance services as part of Ryder’s SelectCare fleet maintenance portfolio. Ryder will also serve as the primary distributor in North America for Workhorse’s E-100 and E-GEN range-extended medium-duty vehicles, as well as the new W-15 electric pickup truck. Clean transportation was well represented last week during National Drive Electric Week and the AltCar Expo conference. U.S. cities saw increased participation and interest during the electric vehicle display, ride and drives, and education week; while Canada and New Zealand added more cities this year. Those attending the annual AltCar Expo event in Santa Monica, Calif., heard about some of the vital issues that need to be addressed for these vehicles to move forward. Plug In America said it was the largest National Drive Electric Week in the event’s six-year history, with more than 220 events in nearly every state and Canadian province. It’s been organized by Plug In America in partnership with Sierra Club and Electric Auto Association to raise awareness and hands-on experience to those considering switching over to owning EVs. More than 4,000 EVs were shown at these events, Plug In America said. In my hometown of Long Beach, Calif., the Nissan Leaf and Tesla Model S were the top EVs on display, followed by the Tesla Model X, and Chevy Volt; with the Leaf and Model S ahead of the pack. Registered attendees in Long Beach reported 1,010,845 electric miles driven. Overall, there are more than 500,000 electric vehicles on U.S. roads and more than a million worldwide, according to Plug In America. For AltCar Expo, Terry O’Day, EVgo vice president and City of Santa Monica councilmember, kicked off the speaker conference on Friday morning. That was followed by a panel on the Future of Mobility; it was moderated by Hilary Norton, CEO of FAST and included Michael Brylawski, CEO of Evercar; Delilah Lanoix, Co-Founder of ButterFli; Francie Stefan, City of Santa Monica’s Mobility Planning Manager; Kat Urquhart, LEV Policy Consultant; and myself, as Editor & Publisher of Green Auto Market. Some of the hot topics discussed were how soon we expect to see autonomous vehicles on our streets; how the City of Santa Monica has connected its mobility options by bus, bike, and car for shared rides aimed at decreasing traffic and pollution; ButterFli’s role in bringing more mobility options to senior and disabled citizens; and experience gained by Evercar in getting on-demand service drivers (such as Uber drivers) trained in using hybrids and electric vehicles. Dan Neil, a columnist for The Wall Street Journal, led a lively discussion on the role Tesla and other electrified transportation has been playing in the U.S., along with the next wave in fuel cell cars, and advanced fuels including renewable diesel and renewable natural gas. Others participating in the Friday morning discussion included Rhetta deMesa of California Energy Commission; Steve Ellis of Honda; Taylor Jones, California Governor’s Advisor; Evan Speer of California Dept. of General Services; and Geri Yoza of Toyota. Dan Neil was also awarded with the 1st Annual AltCar Disrupter Award on Saturday during AltCar Expo. Neil, who at the time wrote for the LA Times, played a prominent role in Who Killed the Electric Car? That film had a 10 year anniversary commemoration prior to a screening of its sequel, Revenge of the Electric Car, on Saturday during the conference. On Friday afternoon, a presentation covered the work being done by the Advanced Transportation Centers in California towards a zero emissions target. Michael Boehm, Executive Director of Advanced Transportation Center of Southern California; and Sedale Turbovsky, Chief Futurist and Center for Alternative Fuels, Director for carbonBLU, spoke to these issues and were led by Tamara Gishri Perry, Director of Strategic Initiatives and Industry Cluster Development at LAEDC. Some of the highlights from the outdoor expo were: The Volkswagen e-Golf, Electrobikes, Kia Soul EV (which may be gaining interest from fleets, I was told), URB-E Scooter, and the previously mentioned Honda and Chevy offerings. WaiveCar, the world’s first ad-supported carsharing program, displayed its offerings and announced its launch in Santa Monica and Venice Beach; the firm had a car named Oscar on display. Carsharing firm Zipcar had a display booth at the event. Low-speed electric vehicle maker GEM had two vehicles on display. As part of National Drive Electric Week, EVgo offered drivers free charging through its national network from Sept. 10 to Sept. 18. Drivers with a valid EVgo charging card were able to charge for free at any of EVgo’s 1,000 charging locations in over 50 metro markets. Sacramento Clean Cities Coalition’s 6th annual Fall stakeholder meeting on Oct. 15 where panelists will be discussing autonomous vehicles, intelligent highways, the Hyperloop, and carsharing services. I hope to see you there. Green Fleet Conference & Expo has been expanded into Fleet Technology Expo. This conference and exposition will feature the latest information on maintaining and adopting alternative fuels, maximizing data for efficient fleet management and best practices for heavy duty fleets. The largest gathering of NGV industry professionals in North America is expected to feature more than 100 exhibitors, 1,000 attendees, and 70 speakers and panelists. Highlights include OEM technology, fuel cost savings, emissions reductions, fuel station infrastructure development plans, federal and state funding options as well as how natural gas is driving innovation and economic growth. Attendees can participate in a Ride & Drive and attend the 2015 NGV Achievement Awards celebrating innovation and leadership. The 10th anniversary conference will feature NAFA (Pacific Southwest Chapter) workshops and the first annual ”Best Sustainability Awards Recognition Program.” Other speaker events on Friday will focus on autonomous vehicle technologies, Multi-unit dwelling (MUD) and workplace charging; a presentation on Saturday showing of trailer from the documentary “My Lunch With Obama”, followed by a Panel Discussion with the director, Kelly R. Olsen, the subject of the film, Paul Scott and some of the people that appear in the file. The discussion will first focus on what led Paul to be willing to pay $32,400 to speak to the President for two minutes about EV policy and the events that unfolded after he was accepted to the luncheon with the President. California Automobile Museum, Sacramento, Calif. Details will be released soon on the sixth annual Fall stakeholder meeting for Sacramento Clean Cities Coalition. As mentioned, I’ll be moderating a panel of speakers for “The Future of Transportation Technology.” Experts on the topics will discuss autonomous vehicles, intelligent highways, the Hyperloop, carsharing services, and other advanced technology developments. This leadership summit on smarter urban systems is being convened in the San Francisco Bay Area in October. Now in its 9th year, the annual summit brings together professionals for opportunities to think critically, ask questions, share tools, and build lasting partnerships — which make smarter and more sustainable cities possible. Meeting of the Minds 2015 is sponsored by Black & Veatch; Royal Bank of Canada; The Federal Reserve Bank of the US; Qualcomm; CBRE; Toyota; Cisco; Wells Fargo Bank; Microsoft; Itron; University of California, Berkeley; and others. Telematics Detroit (now called TU-Automotive Detroit) has expanded to the west coast with this San Diego event. Topics will include cyber security, big data, car communication systems, and Renovo Motors, the maker of the first all-electric American supercar. Christopher Heiser, CEO of Renovo Motors, will be one of the speakers. Automotive Digest Publisher Chuck Parker and I will be attending and interviewing executives; for those interested in scheduling an appointment, please email me. 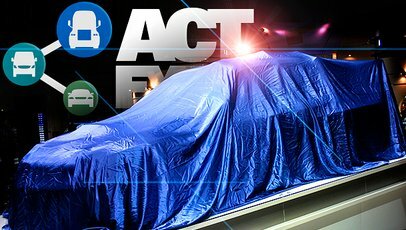 Along with the name change, away from telematics and into TU, the focus of these events is expanding: “Telematics, Autonomy, Mobility,” is how the TU-Automotive Detroit site is labelled. The HHP Summit presents natural gas as a solution to high horsepower equipment operators aiming to significantly reduce fuel costs, improve environmental performance, and comply with important air quality regulations. It’s managed by Gladstein Neandross & Associates, which organizes the annual ACT Expo conference. Connected Car Expo (CCE) at the LA Auto Show has grown enough in attendance to transition from its Los Angeles Convention Center space and will occupy virtually the entire JW Marriott at the adjacent L.A. Live entertainment complex. More than 25 speakers will be there from Apple, Microsoft, Intel, Qualcomm, Google, Volkswagen, Continental, Movimento, Redbend, J.D. Power, Pebble and other companies. Selected by the CCE Advisory Board, this year’s conference topics focus on issues such as autonomous vehicles, car sharing, cybersecurity, 3D printing, over-the-air updates, and much more. The largest clean transportation industry event will be returning to the Long Beach Convention Center next year. Details on the event will be released later this year.